The state of Arizona has been home to many semiconductor & electronics manufacturing Companies since the 1950's, including the SouthWest's Pioneer Semiconductor Company - Motorola. Motorola's research and development lab in Phoenix introduced the world's first commercial high-power germanium-based transistor in 1955. The lab would expand over time to become Motorola's semiconductor division and by 1960 they would have three manufacturing sites in the Phoenix area. Intel corp., Arizona's 7th largest employer, started up their Fab 6 & Assembly Test facility in Chandler back in 1980, and their 720-acre Ocotillo Fab 12 site in 1996. The Ocotillo site is now home to Fab 12, Fab 32 & Fab 42. 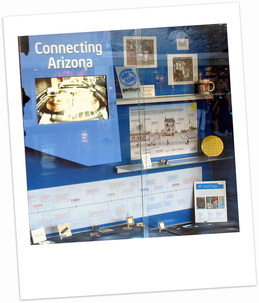 Other leading manufactures who would eventually create manufacturing sites in Arizona include Raytheon, Microchip (Fab 2), ON semiconductor, VLSI Technology, Freescale Semiconductor, NXP, STMicroelectronics, Honeywell, Marvel, Amkor, Jabil Circuit, Philips, Western Digital, Medtronic and others. Arizona now has major electronic manufacturing plants located in the Phoenix metropolitan areas of Chandler, Mesa, Ocotillo, Tempe, as well as in the Southern section of Arizona in and around Tucson.